Attorneys use experts in two ways. First is the traditional use of an expert as a witness in court. In this role, scientists, business people, or others with technical knowledge are retained by attorneys primarily for their opinions (oral, written, or both), ultimately to be given at deposition and in civil and criminal courts. Second, the expert may be used as a pre-trial consultant or more specifically as an undisclosed consultant. In this consultant role, an expert provides technical help with almost any aspect of cases, other than the legal procedures. The range of this use is limited only by the complexity of the case, the desires of the attorney, and the abilities of the expert. The uses of consultants are the subject of Chapter 4. Agreeing to be an expert witness in a specific case involves a strong commitment. The expert must agree to be available on a schedule and sometimes on demand (as by subpoena) for specific functions. At minimum, these functions may include: reviewing case materials, formulating an opinion about the ultimate case issue, giving a deposition, and being available for a potential trial. In addition, travel may be required, deadlines will be set, and command performance dates and schedules may change. Although most cases do not go to trial, those which do may proceed rapidly or be protracted. Furthermore, the expert becomes part of a process that may have significant economic and societal impacts on others. Experts must be willing to perform a difficult task. They must not become advocates for one side of an issue. They must be absolute advocates of excellence in science or in the other trades or technologies they represent. This point is significant enough to stress it by restating it in another way: the experts primary responsibility is to be neutral towardnot advocates ofthe facts and absolutely firm about the opinion that the rules of science dictate. The legal process by which attorneys use experts to get evidence before a jury are not included in this book. Attorneys learn this procedure in law school and later through experience. Rather, guidance about the art of engaging the expert fully as an assistant to the attorney from inception through trial is provided. At an early point in almost every case involving scientific or technical matters, attorneys should carefully evaluate the potential advantages of acquiring appropriate experts. In this book, the term expert is applied to individuals with highly specialized, authoritative knowledge which can be in any field from auto mechanics to atomic physics. The term expert witnessor simply witnessis used for experts who testify in the courtroom. The term undisclosed consultantor simply consultantis used for experts who are employed by attorneys in other capacities. Science in this book is used in its broadest sense; that is, systematized knowledge. Thus, science encompasses most fields where experts are needed in court. I do not attack fools, but foolishness. To say that individuals with specialized knowledge in any field can assist the courts is not to be misconstrued as supporting what has come to be known as junk science, that is, the misuse of science by experts and the misuse of experts by attorneys. For a detailed look at junk science, see Chapter 2 which also gives guidance about the effects of Supreme Court decisions during the 1990s on the scope and nature of experts and their permitted testimony. Simply stated, Rule 702 of the Federal Rules of Evidence allows expert testimony that rests on both a reliable foundation and is relevant to the case at hand (with the term relevant having complex legal implications). This simple interpretation is not a legal opinion. Experts should look to the hiring attorney for guidance in this complicated area where the law is still being interpreted. The Supreme Court has clarified that many fields which are sometimes not considered among the sciences such as engineering, fire investigation, document verification, and even agricultural practices are covered by Rule 702. There is evidence that the broadened scope of the Daubert Rule will promote good expert testimony and disallow junk science (with science, itself, being broadly interpreted). Indeed, when expert testimony is limited to the subject of the witnesss expertise with ethics and the highest integrity of the field applied, when attorneys insist on these standards, and when judges appropriately apply the rules governing expert testimony, the system works for the handwriting expert as well as for the medical scientist. With regard to the many kinds of experts available, I would note that I was once contacted by an attorney who pretended to need an expert on hog odor. As it turned out, the attorney was not pursuing a case but was writing a story about experts for a magazine. He wanted to illustrate the extremes to which attorneys sometimes must go in order to successfully argue their cases in court. Not being from the Midwest (where it is serious business) the attorney-author had found the idea of an expert in hog odor to be most amusing as he perused the categories of experts listed by an agency. After contacting me, he was amazed to learn (and he found it amusing to report in his article) that not only were there hog odor experts, but that such experts were divided into different camps based on their appreciation of how hog odor was to be detected and quantified. The serious point of his article was that experts come in many stripes, equaled only by the needs that draw them into courts. but that horses may not be stolen. The legal rules of procedure for criminal cases are quite different from those of civil cases. For example, criminal cases require a unanimous verdict by all jurors (nominally, 12 persons) while civil cases may have 12 or fewer jurors, all of which do not have to agree to render a verdict. Opposition experts cannot be deposed in criminal cases as they can in civil cases. Thus, cross-examination in criminal court may include questions for which the prosecuting attorney (unlike the well-prepared and well-versed plaintiff attorney), does not know the answer. The jury decision is based on a preponderance of the evidence in civil cases but beyond a reasonable doubt in criminal cases. What is admitted as evidence can be different for civil and criminal cases. Criminal cases may result in death or incarceration, fines, or shut-down of business operations, while civil cases do not risk anyone going to jail (except in unusual, indirect circumstances). Some experts are not comfortable working in criminal cases. There is little objective basis for this unease, but if one is uncomfortable about testifying in criminal cases this will affect one's testimony. This discomfort should be addressed and resolved before an expert takes criminal cases. Individuals retained by attorneys as consultants become disclosed experts when the hiring attorney must provide the names of persons likely to be called as witnesses in a complaint filed in court. The opposition attorney has the right to request from the hiring attorney all information the expert has produced, including all written reports of case work. The opposing attorney will likely depose the expert. The hiring attorney presumes a deposition will ensue and the experts case assignments will be made with this probability in mind. The consulting expert often does not know exactly when disclosure occurs and need not know the technicalities. The important distinction for the expert is that once disclosed, some or all of the work done for the hiring attorney is available to the opposition via disclosed reports and other documents and by deposition of the expert. All of the consultant's work except those functions involving case strategy determined to be protected as work product will be disclosed, potentially or actually. Experts must overcome the embarrassment of the term expert. Protesting about being an expert is inappropriate during deposition or on the witness stand, unless it can be done with humor. One technically must be an expert to be qualified in court to give the required testimony. The status as expert will be resolved by documented evidence during disclosure, qualification and/or voir dire. The only proper answer to the question, "are you an expert in your field," is yes, and only a judge can disallow this status. An expert witness is needed as soon as an attorney perceives that winning the case involves or depends on establishing scientific or other technical facts and explaining such to the jury. Indeed, whether defense cases should be defended or settled, and whether plaintiff cases are to be pursued, dropped, or settled requires as careful an evaluation of the scientific and technical merits as is done for the legal merits. Even compelling legal grounds may be inadequate without an experts testimony when a case depends on establishing a scientific fact or cause-and-effect relationship, establishing the extent of damages to persons or property, authenticating documents or the value of objects, establishing medical malpractice, discerning the cause of a fire, or introducing certain case evidence. In matters that involve substantial potential damages, the decision to hire a particular expert is best made after a meeting between expert and the lead case attorney. This meeting can be held at either the attorneys office or at the location of the expert. Meeting in the experts office is often advisable because the expert then has maximum resources available. A meeting in person rather than a telephone conversation may be necessary to evaluate tangible factors and intangible qualities essential for an effective joint interaction between attorney and expert that leads to the successful communication of the case to the jury in court. This is the beginning of the art and process of adjustments and accommodations in style and substance so essential to a cooperative endeavor that builds trust in jurors. Considering the need for an expert should be a formal part of the attorneys strategy. To be effective, this consideration should occur very early in developing the case. A decision can be made for or against the use of experts or to delay a decision until a specific later date when anticipated information becomes available. However, the question should be addressed and a conscious decision should be made. Acquiring an expert will mark a point of commitment to additional case expenses and may modify decisions made about case strategy. A delay in hiring can greatly diminish the experts effectiveness. annoyance of a good example. A young woman was diagnosed with systemic lupus. She worked in an industrial plant where she may have been exposed to radiation. She sincerely believed her disease resulted from this workplace exposure. Her physician had no opinion about what caused her disease. She acquired an attorney and decided to sue her employer. Clearly, if there was a cause-and-effect relationship between her work and disease that was not covered by workman's compensation laws, there would have been legal grounds for considerable monetary damages. The attorney was able to research and evaluate the legal merits of the case. However, the attorney was not knowledgeable about lupus, radiation, or whether any linkage existed between them. Clearly it would be advisable to know about these scientific factors before spending significant amounts of money and effort on the case. An expert could provide this information after reviewing case documents. A landowner sued a railroad company because railroad cars derailed, spilling cargo onto his land. The railroad removed the wreckage and most of the cargo. One of the derailed cars had been filled with chromite ore. An attempt had been made on behalf of the railroad to remove the spilled ore which was composed of fine particles and was difficult to remove. The landowner maintained that some of this chromite was buried on her land and had not been removed. She further claimed that chromite is a carcinogen and that she deserved absolute cleanup or compensation. There was no doubt that the accident had occurred and that the railroad was responsible. The defense attorney was uncertain about whether chromite remained at the site. There also was uncertainty about whether chromite is harmful and if there are health hazard consequences to people or animals if traces remain. The defense attorney could evaluate the legal position of the railroad, but an expert was needed to sample the soil to determine if chromite remained; to advise about the toxicity of chromite to humans, animals, and plants on the site; to do an environmental hazard assessment; and to recommend any remediation that might be needed. A shortcoming of some inexperienced experts is their general failure to keep complete, organized, readily accessible records. When hired by an attorney, the best policy for the expert is to begin to act immediately as if one will become a disclosed expert. This means conducting all affairs and especially to keep records as if they will be disclosed. Thus, consultants and attorneys must have a clear understanding about what records to generate, maintain, and organize. For example, sometimes an expert may be requested not to keep written records or not to assemble a case file, but to report orally to the attorney. This is appropriate in early stages of a consultation, but both attorney and expert will realize that a case file must be assembled when substantial work is performed. The expert should submit all written and oral reports to the hiring attorney or to a designated associate who will make any appropriate disclosures to others. When deposed, however, the expert has the responsibility to provide all the relevant documents and treatises that were relied on, any case materials supplied to the expert, and all of the experts notes and written reports and opinions. Attorneys should not assume knowledge on the part of the expert about records to be kept. It must not be left to chance. Explain carefully what records the expert is to make and maintain and specifically when and what information is not to be recorded, including by notes. The attorney will recognize that the details about record keeping to be conveyed to the expert will depend on the attorneys style and the nature of the case. The opinion is the principal reason an expert is retained. It is discussed in Chapter 9. In civil cases, discovery pertains to processes by which case information held by either party in a suit is required to be made available to the other party. It tends to bring parties to settlement and when properly done it prevents ambushes at trial. In criminal cases, the defense is not required to share certain information; that is, it does not give defense depositions (a process of discovery of the experts opinion by the opposing attorney). Discovery is covered in Chapter 10. The oral use of the experts opinion at trial is covered in Chapters 11 through 14. The best experts can serve many functions beyond giving expert opinions. When the hiring attorney recognizes that a particular expert is able to assist beyond giving an expert opinion on a technical or scientific case matter and if the expert is able and willing to be of significant assistance, the door will be opened to greater involvement by the expert in various aspects of the case. Not all experts will desire an involvement beyond rendering a technical, scientific, or medical opinion. However, effectiveness is increased when experts are able to function also as skilled consultants. Sometimes such involvement is essential. For example, some function as an educator of the attorney about the science or technology of complex cases is almost always required. Additional involvement will depend on the experts skills, the attorneys needs and awareness of such needs, the experts abilities to meet those needs, and the particulars of the case. Even for cases where the attorney may consider that an experts testimony is not needed in court, it still may be useful to have an expert review the case for strengths and weaknesses, or for strategies that may have been overlooked or misapplied. Experts can be useful in almost all subject areas about which disputes are contested. Relative to the law, the word master refers to court officers appointed to assist the judge by hearing evidence, investigating and reporting on case matters, or performing other similar functions. Masters are experts who specifically serve the judge. Sometimes masters are attorneys. Masters can be appointed in cases even though other experts may be testifying for either or both sides of the dispute. Masters work closely with judges, much as other experts work with hiring attorneys. They may be brought into a case even after trial has begun when a judge perceives that the jury (and sometimes even the judge) is becoming confused by contradictory testimony by opposing experts. A master is sometimes appointed when a case is tried before a judge without a jury. For example, judges frequently use masters to advise them in environmental pollution cases where the judge must rule on whether to permit a plant to continue to operate or to shutdown. The judge, sometimes during a continuance of such a case, may request that environmental monitoring be done or supervised by the master. The master also may be needed to interpret for the judge the technical data obtained from such monitoring, and to evaluate the testimony of plaintiff and defense experts. When judgments are rendered, masters sometimes continue to oversee settlements. Having a master who is associated with neither side provides the judge with a trusted, independent opinion. Those in the legal system who find fault with the traditional, adversarial use of experts generally favor having the judge appoint all experts or to use masters only. The judge has great latitude in the uses made of such appointed masters and in deciding who must bear their cost. The use of masters and court-appointed experts who serve neither side specifically, will likely continue to increase. The master is particularly helpful in cases involving multiple, complex technological issues including environmental concerns where the plaintiff seeks to shutdown a business and for class-action suits. The technical issues may be quite broad. In addition, the experts role is different since they serve the judge and not either side, specifically. Many experts feel quite comfortable in this role. However, it may require an adjustment of attitude to serve all parties without actually serving any one party. Since one's fundamental opinion will ultimately favor one side, one must consider whether this is a comfortable role. Selection as a master expert for a judge is a great privilege. The duties outside the courtroom are similar to those of a consultant for an attorney. The same objectivity and thoroughness is required. The judge will want to know the strong evidence on both sides of issues and will want opinions at the usual level of confidence (preponderance). The judge may want education sessions about science or other technology relevant to case issues. It is most important that the master be well prepared and conserve the judges time. It is almost always best to have sessions or reports driven by specific questions expressed by the judge. The master will likely be asked to prepare an oral and/or critical, written report of all opinions and reports prepared by experts allowed to testify at the trial. At trial, the master will hear testimony of the experts from both sides and advise the judge about its validity. This role of master requires a knowledgeable person with strong experience close to the heart of the case. When expert testimony about case issues comes from several experts in differing expertise areas, broad expertise and experience is necessary. Their work becomes quite challenging. Unless the judge should so rule, acquiring a master does not preclude the use of experts by the attorneys in the case. Attorneys should work closely with the master, when required. The type and extent of interaction between an expert hired by the attorney and the master is also critical in establishing the credibility of the advocated position. This collaboration is usually done through reports submitted by the hired expert. Most cases can benefit from one or more expert witnesses. In most cases, the evaluation of the need and potential effectiveness of an expert should be made early in the development of a case. Careful consideration should be given to using experts for other functions in addition to giving expert opinions in court. Preparation of a defense or prosecution case often involves technical factors that will be overlooked unless an effective expert is consulted. Chapter 5 provides guidance about acquiring experts. Experts will be asked to provide opinions about scientific or technical case issues. If the case proceeds, experts will likely give a deposition and testify at trial. Firm deadlines, travel, and specific appearances may be required. Experts can offer other assistance which at the minimum can be to provide education about technical case aspects. This assistance can include consultation on all technical or scientific aspects of discovery, case strategy, and evidence analysis. It is a special honor and great responsibility to be offered a position as a special type of expert called a master who is appointed to serve a judge. It requires the highest level of expertise, knowledge, and experience to effectively serve in this capacity. The judge will be interested in fine distinctions among various facts and among technical and scientific theories that will assist in application of the law. Be prepared to be both precise and complete on points of expressed interest. 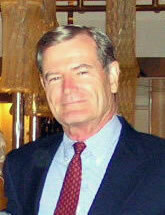 Dr. Olen R. Brown, PhD, is a board certified Diplomate in Toxicology and Fellow in Chemistry and Chemical Engineering. With over 45 years of experience in Life Sciences, Dr. Brown's focus is on Human and Veterinary Medicine using the disciplines of bacteriology, virology, immunology, epidemiology, biochemistry, physiology, analytical chemistry, toxicology, and environmental sciences. He has received over 6 million dollars in grants for research in his fields and has authored over 150 scientific publications.